Rep. Ross Spano (R-Fla.). Credit: Representative Ross Spano/Facebook. 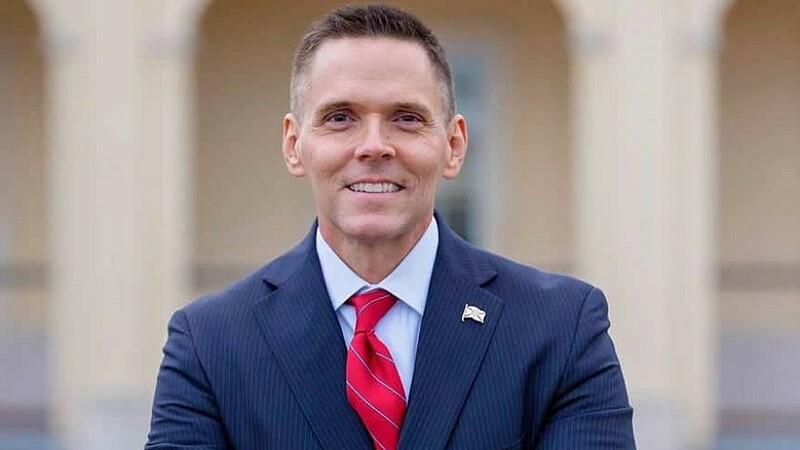 (March 18, 2019 / JNS) Republican Rep. Ross Spano defeated Democratic nominee Kristen Carlson in Florida’s 15th Congressional District to replace the retiring Republican Dennis Ross. Spano, 52, previously served in the state’s legislature. JNS talked with Spano in person. The interview has been edited for brevity and clarity. A: In my humble opinion, the relationship between the United States and Israel is probably the most important. A: We all know the nature of the Middle East is one that has been unstable for a millennia. The ability that America has to have a stable, democratic partner in that region, I don’t think you can really overstate it. They have stood by us and when most, if not, all those other nations there have not. And they’re probably the one partner that we can rely on moving forward and know for sure they’re going to be by our side and stand up for us over there in that region. We should be able to reciprocate. Q: Have you ever been to Israel? A: No. But I’m going in August. My wife and I. Will be the first time we’ve ever been. It’s something I’ve wanted to do for a long time, but never had the ability. I’ve never been overseas. Q: And this would be with AIPAC? Q: What is your reaction to the president announcing U.S. troops will withdraw from Syria? A: It’s concerning to me. The president has more of an understanding of what’s happening on the ground there in Syria. My first obvious concern is that it creates instability in the region. That’s the last thing we want. I understand his position that we can’t be engaged in these long, protracted battles everywhere around the world in every instance. If I had to offer an opinion, I’d say we probably should keep troops there for the near term—certainly, in some significant capacity. I’ll be honest with you: I don’t serve on the Foreign Affairs Committee, so I’m not up to date on the most recent on-the-ground facts that are involved in making the decision. Q: Should we keep U.S. troops in Syria to combat Iranian forces? A: Yeah. From what I understand, Iran is the largest instigator of what’s happening over there. Iran is certainly the threat in the Middle East, so if it means combating Iranian efforts to destabilize the region and the ultimate goal of taking down Israel, then that’s probably the right thing to do. Q: Does the United States need a new Authorization for the Use of Military Force to combat Iranian forces? A: I would say we do. Q: What’s your reaction to some of the anti-Israel verbiage coming from Democratic Rep. Ilhan Omar of Minnesota and Rep. Rashida Tlaib of Michigan? A: I would say I’m surprised at this point, but I’m really not. I’m disappointed. I think it’s disgusting. It’s something that, frankly, I would hope that the Democratic leadership would take a stronger stance on. I think they’ve got a problem balancing interests in their caucus, which I get. But I don’t think this is something you can hedge on, particularly given the history of anti-Semitism against the nation of Israel and Jews. I don’t think there’s any room for it. Obviously, you know the position we took with respect to [Rep.] Steve King and his comments, and that should be kind of an analogous approach taken. I know there’s been a lot in the news these last few days with the president’s comments. I wouldn’t say that the Democrats generally hate Israel. But I think there is a growing faction within the Democratic Party that does. If the Democrats are going to get ahead of this issue they need to take a strong stand now. Q: Was the president correct in saying that the Democrats hate the Jews? A: As I just said, I don’t think you can use that pejorative statement and say “Democrats” because I know that there are many Democrats who do not. They very strongly support the nation of Israel. It’s a concern. Frankly, if you had someone within the Republican Party who made those comments, they would put them out to dry at this point. It would not be tolerated. There would be demands on the floor probably daily for us to remove him from committees and maybe even expel him. My point is that I don’t believe all Democrats hate Jews, but I do believe there is a growing faction in the Democratic Party that does. It is their responsibility to get control in that situation. Q: Should Rep. Omar be removed from the House Foreign Affairs Committee? A: If they handled the situation like we handled the situation, which the Democrats demanded we do, then yes. If we’re going to handle these kind of situations the same on both parties regardless of where we stand politically, then yes, she should. Q: What is your stance on the Iran deal? A: Definitely strong opposition. I think it was a terrible situation because it gave away the farm and got really nothing in return. I was glad the president withdrew from it. What we essentially did was tie our own hands and give away billions of dollars. They did not; they kept right on with their nuclear program. It was really a farce, so I’m happy that we withdrew. I’m happy that sanctions have been reinstituted. Let’s keep the pressure on Iran. Q: Has the president done enough to pressure Iran? A: I’ll be honest with you: I don’t know that I know enough about the issues whether he’s pressed them enough or not or whether he has done enough to stop Iran. My personal opinion is that we can always do more. Always. And we should. I know he reinstituted the sanctions that were in place before. So I would support additional sanctions if we think additional targeted sanctions would be effective. Q: What is your stance on U.S. funding for Israel’s military? A: Absolutely support it. There’s a theme here: I definitely think that the U.S.-Israel relationship is the most important strategic relationship we have in the world. They’re the ones over there fighting the battle right in the center of it all. They are fighting and protecting and advocating for the same ideals, concepts that we believe in, such as democracy. Q: What’s your stance on U.S. taxpayer funding for the Palestinian Authority? A: Definitely opposed. It’s a terrorist organization. Q: What was your reaction to the U.S. relocating its embassy in Israel from Tel Aviv to Jerusalem? A: Incredibly supportive. Should’ve been done decades ago. Q: What’s your reaction to the rise in anti-Semitism nationally and abroad? A: There’s just no room for it. There’s no room for it, even if there wasn’t a history that had taken place. Even if there wasn’t an attempt in the last century to annihilate the Jewish people. It wouldn’t be proper. But if you had any understanding of history whatsoever, then you’re going to be particularly careful about how you approach the issue of anti-Semitism. It’s got to be confronted. It has to be called out. There’s no place for it. Q: Should the U.S. recognize Israeli sovereignty of the Golan Heights? A: Yes. That’s the land of the Jewish people. As I understand it, that was the region that Israel took over during the Six Day War. That was the region they were being attacked from, so it’s a strategic area of real estate. Not only do I think they have the right to keep it because they were attacked and then they took that land, but from a strategic defense standpoint, they should have the ability to defend themselves as a nation because it’s going to be used by opponents if they give it up. Q: What’s your reaction to the upcoming Mideast peace plan being put forth by the president’s advisers? A: I’m anxious to see what the proposal is. I’m a little bit skeptical. How can you not be skeptical? We should keep trying. But the question I have is: Is there a real desire for peace? I know Israel wants peace. But do the other actors in the region want peace? I don’t know if they really do. I think we should continue to make an effort; we have an obligation to do that. But it takes two to tango. If you’re going to have meaningful peace, you have to have two partners—in this case, it would be more. Q: Should any peace deal consist of America being the mediator, or does the final deal have to be between both sides? A: I think the U.S. has a role in encouraging and facilitating the process. But I don’t think we should have a say. Given our relationship with Israel, I would trust them to enter a deal that not only protects their interests, but I think one that is wise as it relates to American interests. Certainly, we have a lot at stake over there, so I would like to have some involvement in the process, but the ultimate decision about what constitutes the deal is going to be one that the parties directly involved are going to have to be OK with. Q: What is your reaction to the anti-BDS component of the Senate bill that would also strengthen the U.S. relationship with Israel and Jordan, in addition to enacting fresh sanctions against Syria? Some Senate Democrats voted against it, citing concerns from the ACLU that it would infringe on Freedom of Speech. A: I support it. If states want to enact legislation that says, “Hey, we’re not going to do business with people who are approaching Israel in this way,” I think they have a right to do that. When I was in the state legislature in Florida, we enacted such a bill. So I’m very supportive of that anti-BDS legislation. A: I want you and the Jewish people to know that it’s hard for me to really articulate how much I identify with the Jewish people. I’ve read the Old Testament probably 10 times. A lot of your history is the history I identify as being close with. The plight of the Jewish people and what they have experienced throughout their history is unparalleled. Notwithstanding all of that, they overcome, which is pretty incredible. It is an incredible story.